What is the Poverty Level? 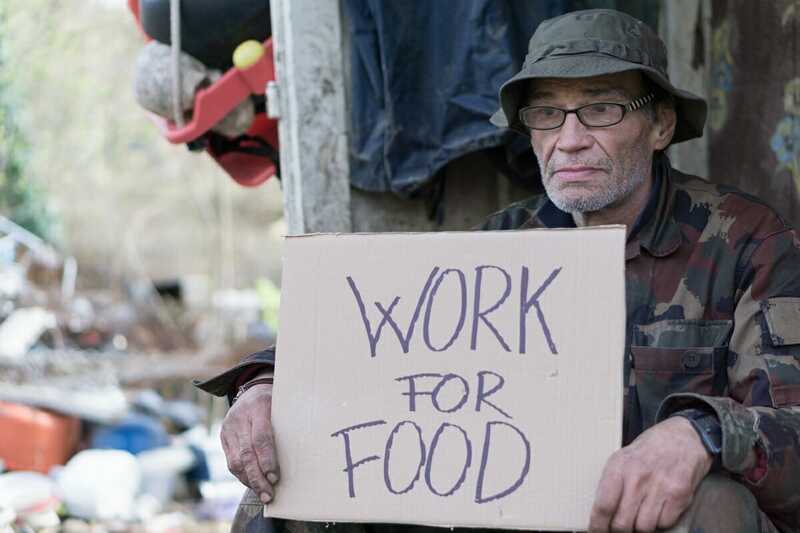 The poverty level is also known as the federal poverty level. It is an economic measureEconomic IndicatorsAn economic indicator is a measure of the overall state of the macroeconomy. Economic indicators are often collected by a government agency or private business intelligence organization in the form of a census or survey, which is then analyzed further to generate an economic indicator. Analysts and investors used by government agencies to determine if an individual or family’s income is eligible for certain federal subsidies and benefits. It is issued by the U.S. Department of Health and Human Services (DHHS) every year in January, and it uses the household size and income to determine an individual or family’s poverty level. The figure shows the total cost that each person in the household needs each year to cover basic necessities like utilities, food, clothing, shelter, and transportation. The DHHS sets the poverty levels for the 48 contiguous US states, and separate indicators for the state of Alaska and Hawaii. Some of the programs whose eligibility is measured using the federal poverty levels include MedicaidSocial SecuritySocial Security is a US federal government program that provides social insurance and benefits to people with inadequate or no income. The first Social Security Act was signed into law in 1935 by President Franklin D. Roosevelt. The law underwent several modifications over the years to include several social welfare, the Children’s Health Insurance Program, Marketplace health insurance, and other federal programs. The Supplemental Nutrition Assistance Program (SNAP), formerly referred to as the Food Stamp Program, is available to families that earn 130% and below the federal poverty level. It means that, for a three-member family, 130% of the poverty line is $2,213 a month and $26,600 annually. Households with an elderly or disabled person must own less than $3,500 in assets, while families without an elderly or disabled member must own $2,250 or less in assets. The net incomeNet IncomeNet Income is a key line item, not only in the income statement, but in all three core financial statements. While it is arrived at through the income statement, the net profit is also used in both the balance sheet and the cash flow statement. after deductions should be at or below the poverty level. Poverty levels are lower for small families and higher for large families. Medicaid is the single largest source of health coverage in the US, and it covers children, parents, elderly, and individuals with disabilities. It is available to children up to and below 138% of the federal poverty level in every state. On the other hand, the Affordable Care Act provides low-cost insurance to households with between 138% to 400% of the poverty level. The Children’s Health Insurance Program (CHIP) provides insurance coverage to children up to 19 years in families whose annual incomes are too high to qualify for Medicaid, and insufficient to pay for private insurance coverage. It covers children with 200% and above of the poverty level in 46 US states and the District of Columbia. Each state imposes different rules on the categories of people that qualify for this insurance program. Other programs that use the poverty level information include the Home Energy Assistance Program, the National School Lunch Program, and the Emergency Shelter Grant. For every additional member above eight, add $4,320, $5,400, and $4,970 for the 48 states and DC, Alaska, and Hawaii, respectively. The federal poverty level is measured based on the annual family income, size of the family, and geographical location. When determining whether a family is eligible to receive a subsidy or other benefits, the respective agencies can either use the income before tax or income after tax. Other than the income, the government agency may use a family’s annual consumption, total wealth, or other indicators that measure a person’s well-being. When calculating a family’s poverty level, the annual income is divided by the poverty guideline and then multiplied by 100. For example, take a family of five living in Washington DC and with an annual income of $100,000. The poverty level for this family will be calculated as follows: ($100,000/$29, 420) x 100= 339%. The family’s poverty level of 339% makes it eligible for the premium tax credit on Health Insurance Marketplace. However, the family is not eligible for Medicaid and the Supplemental Nutrition Assistance Program.